We can apply for sending some of accessories of Flutes for free when total amount below USD10.00. Certainly we don't afford any freight cost. For the sample cost of the saxophone products, we can deduct the sample cost from the bulk formal order in future for you, when it arrives certain amount. 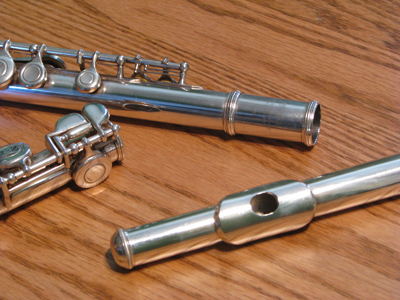 MOQ is different for different model & level flutes. Please email our sales department export@canexmusic.com for the details. But certainly the larger quantity you buy, the better price we can give you. The lead time of delivery for the formal orders is about within one month after receiving your payment. Certainly, it due to the detailed order quantity. And estimate delivery time for sample orders is within 10 - 15days. Please be sure to reconfirm lead time of delivery and other details when order. And please let us know your detailed requirements in advance to avoid any possible delay. We accept OEM orders. When it arrive a certain quantity, we can engrave the logo on tenon of our flutes for free. Otherwise, we may charge for a little amount edtion charge. Please remember to confirm with us the logo before your order. To decrease the damage produced during the shipment & assure that you can receive the order in good condition, we advise that insurance covered for each shipment.